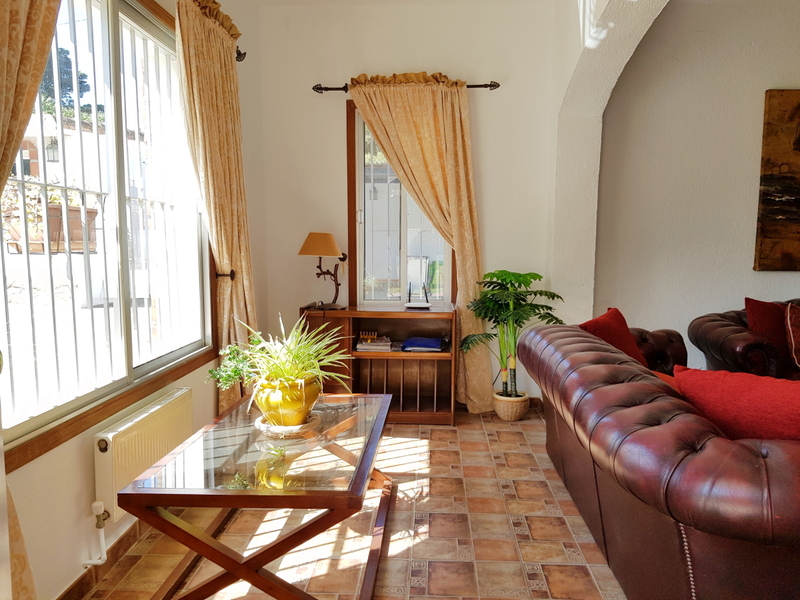 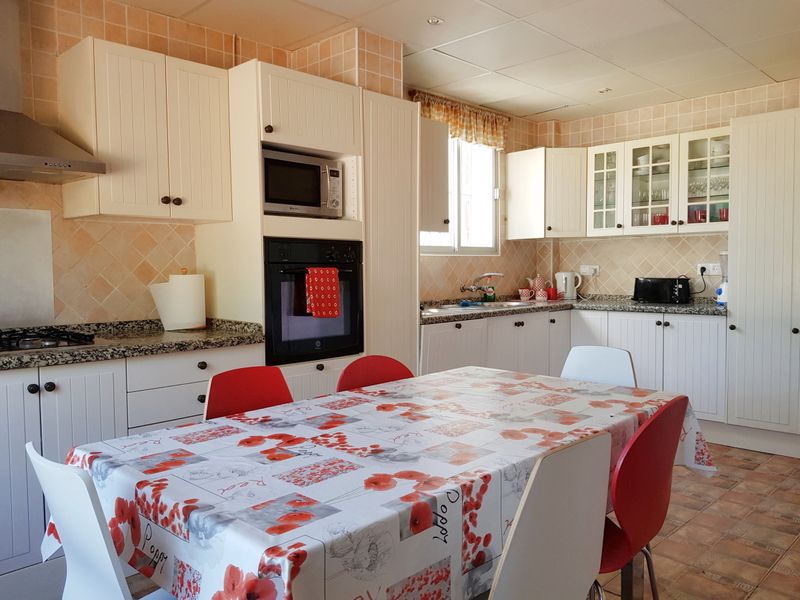 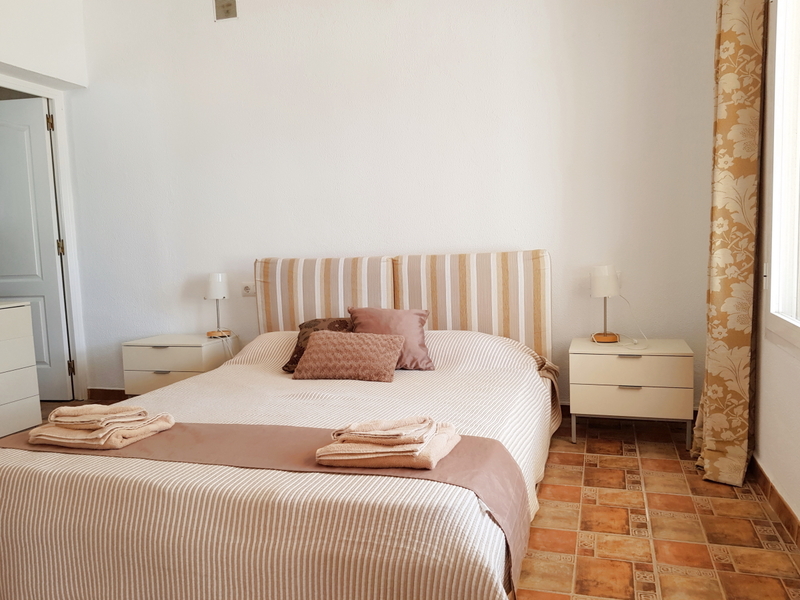 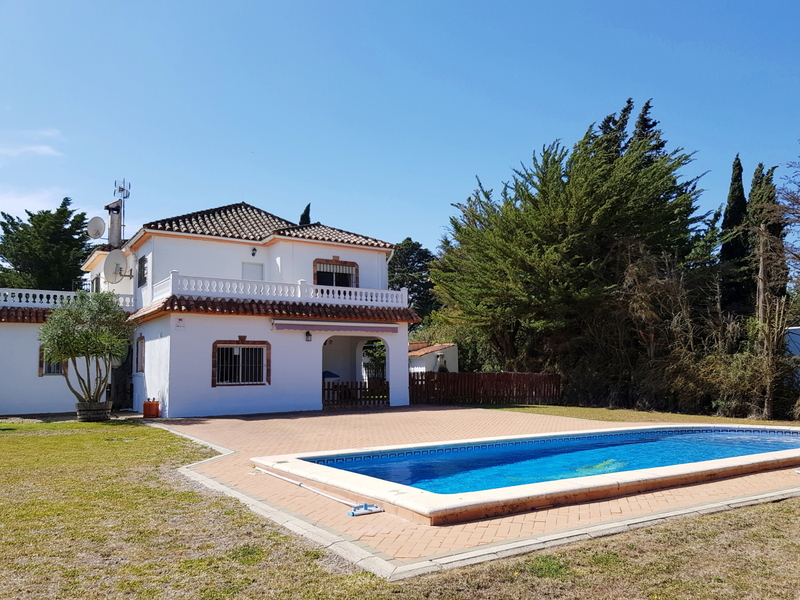 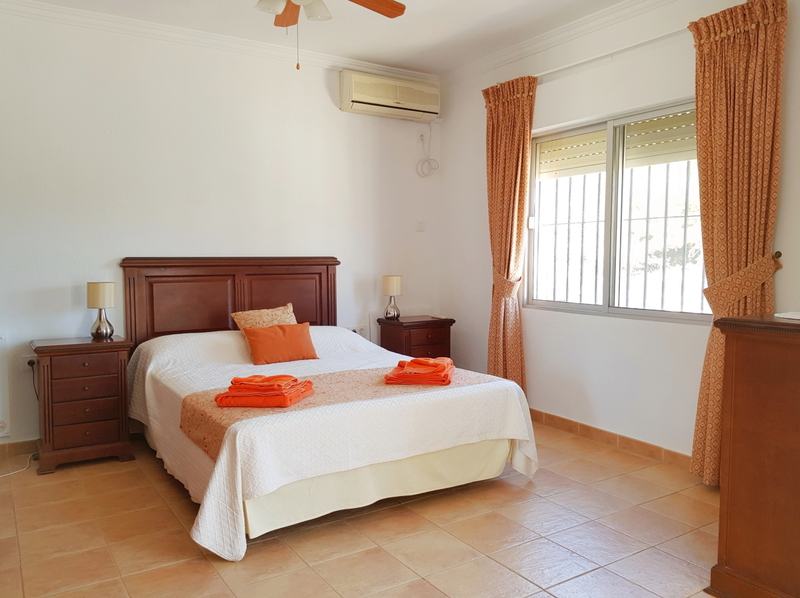 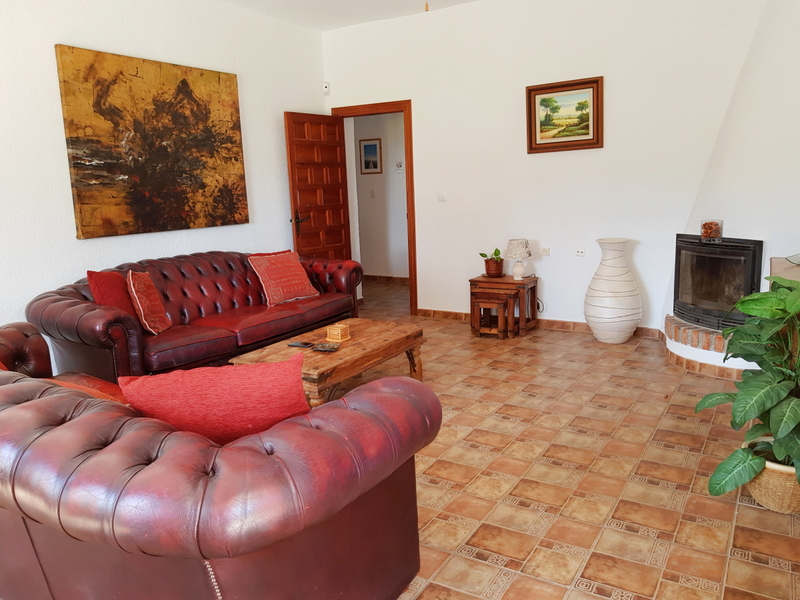 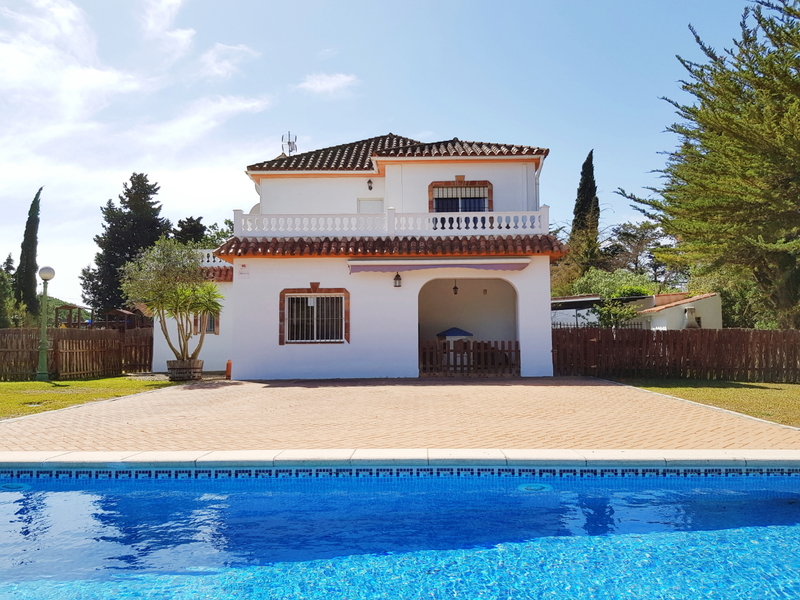 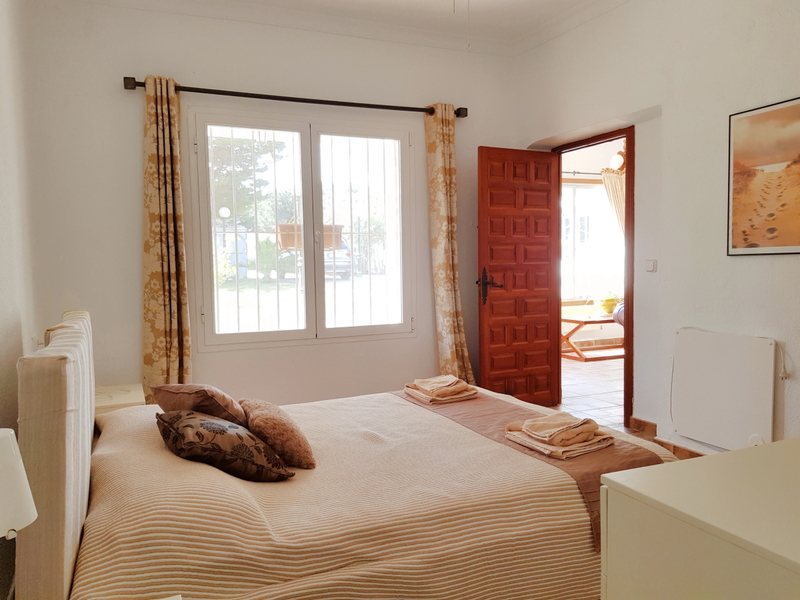 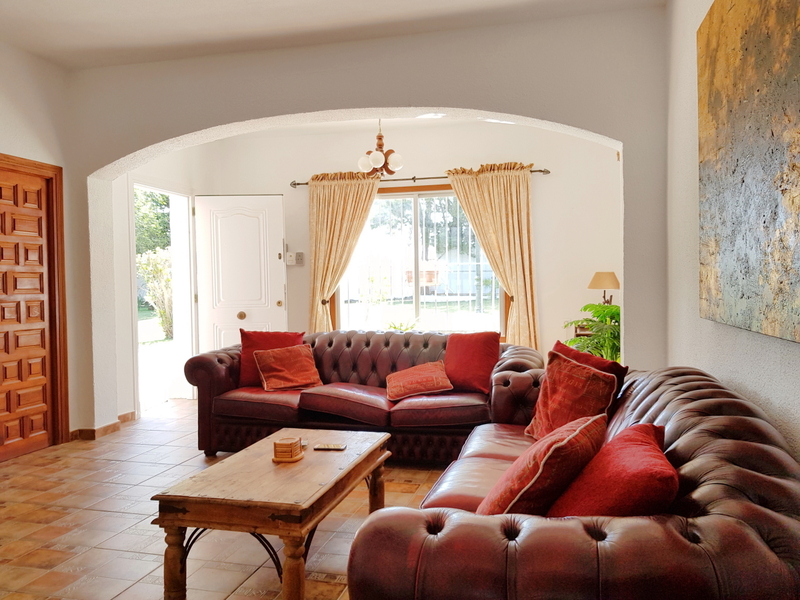 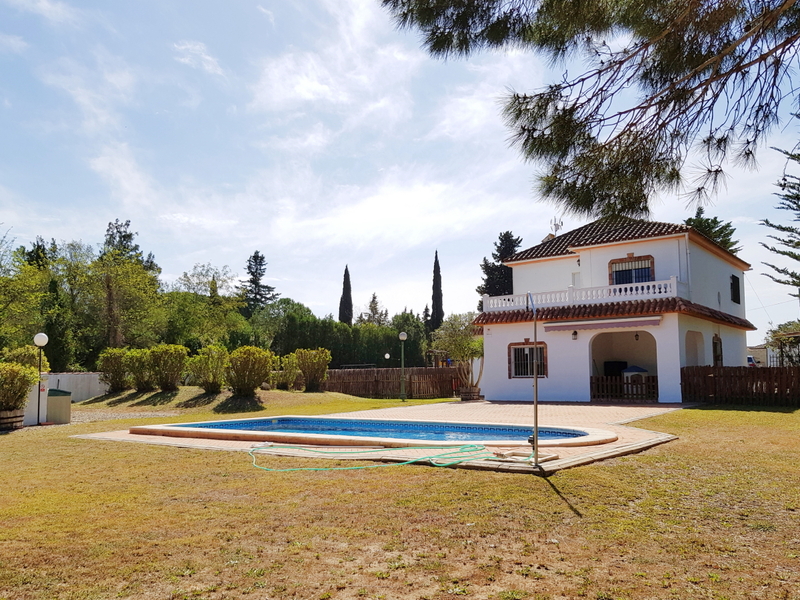 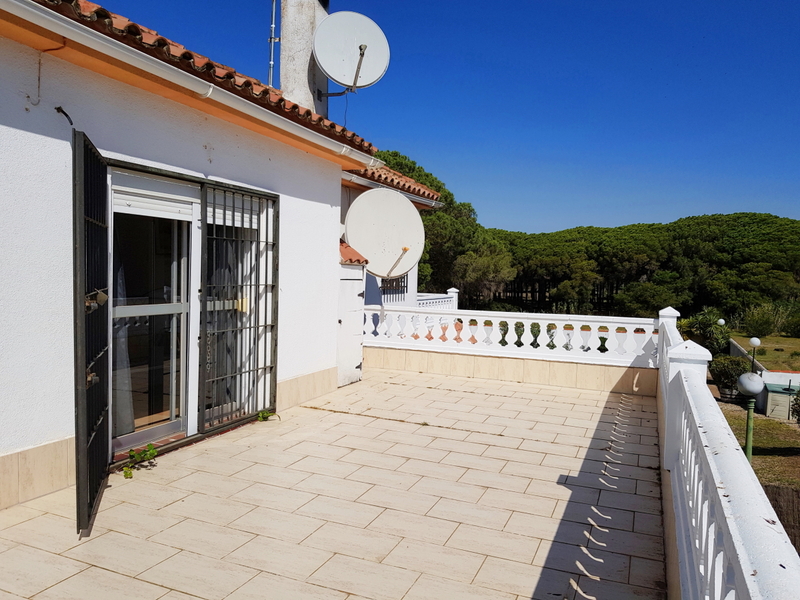 Casa Monforte is a beautifully light and spacious property set along a very quiet street in an area near Campano Golf on the outskirts of Chiclana. 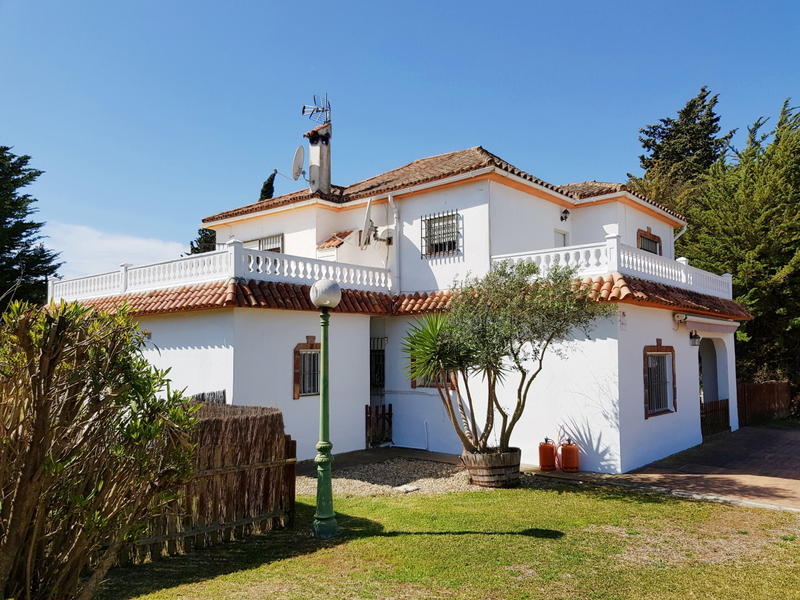 Restaurants are close-by along with the thriving town of Chiclana and its beautiful beaches of La Barossa and marina at Old Sancti Petri. 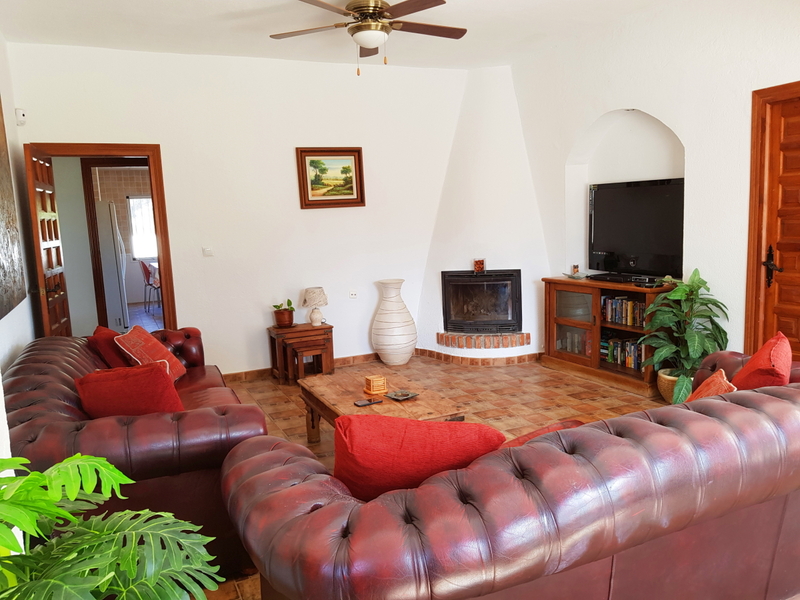 Entrance via the front covered terrace into the extensive living room with feature corner fireplace and large windows overlooking the front garden. 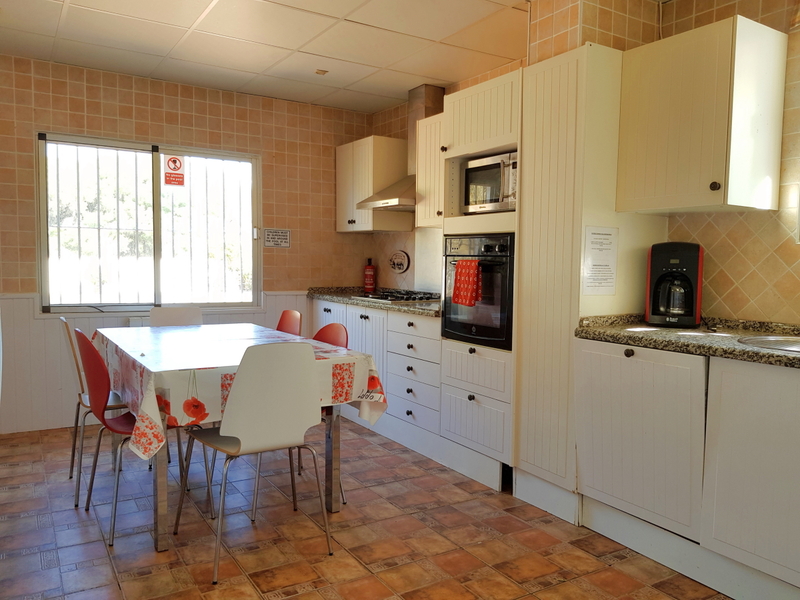 A door leads through to the central hallway which gives access to the modern fitted kitchen/diner with fitted units, integrated appliances and door to the rear covered terrace and BBQ area. 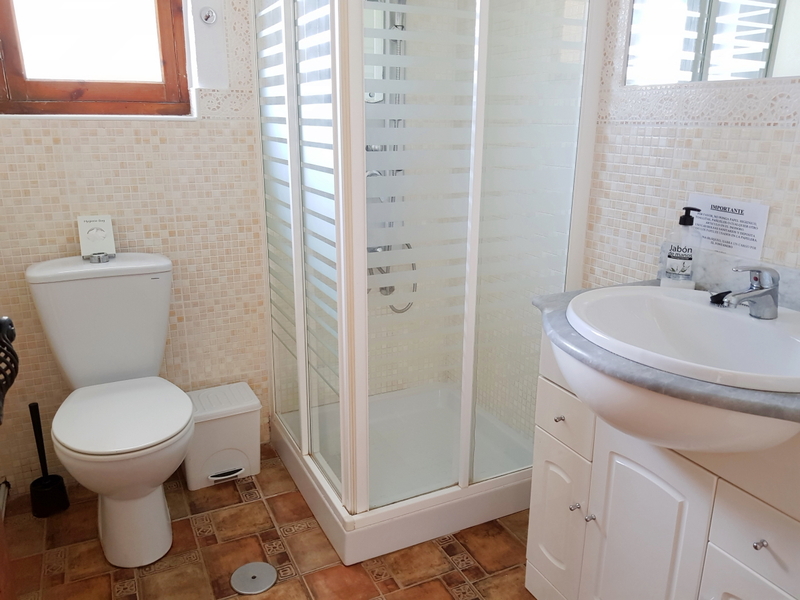 Also on the ground floor are 2 double bedrooms, one with en-suite shower room and the other with fitted wardrobes. 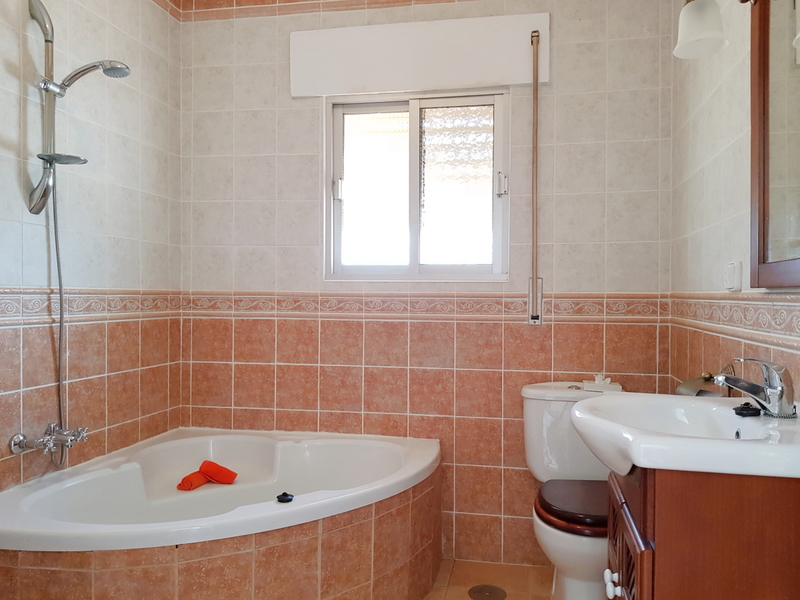 There is a further family bathroom with shower, basin and WC. 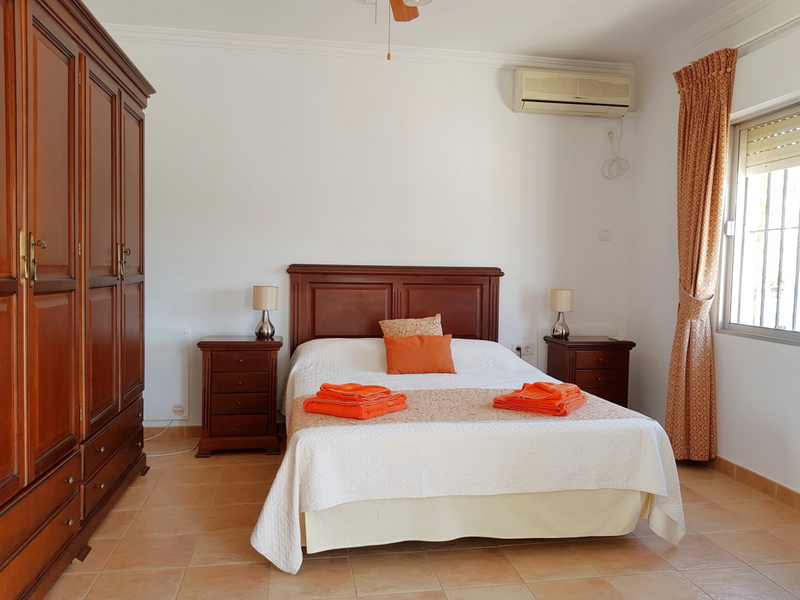 From the central hallway, solid wood stairs lead up to the first floor and to the master bedroom with air-conditioning, fitted wardrobes and en-suite bathroom with corner bath, shower-over, basin and WC. 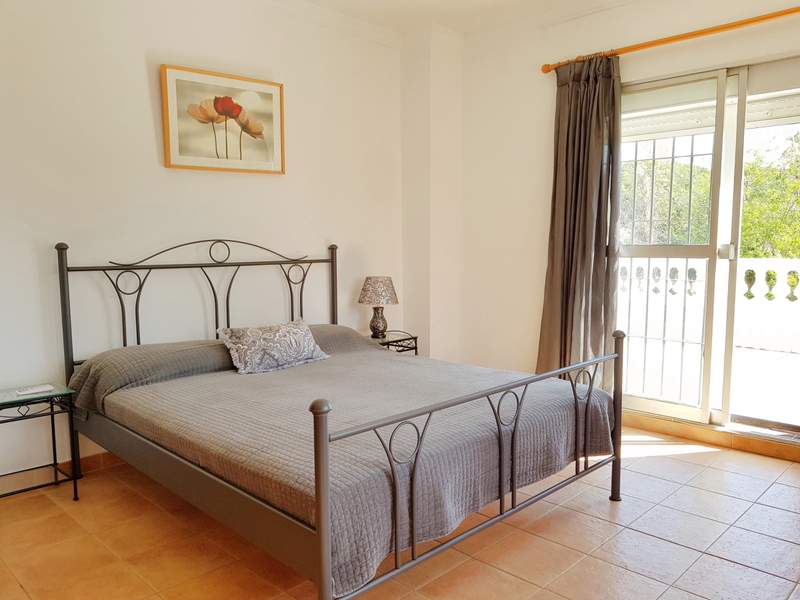 The 2nd double bedroom has direct access via patio doors to a wrap around sunny terrace offering views over the garden, pool and surrounding natural park. 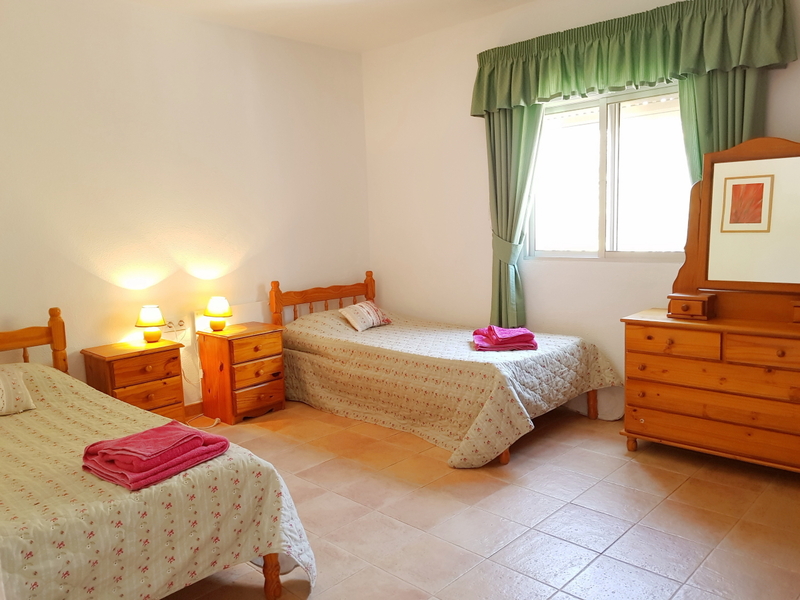 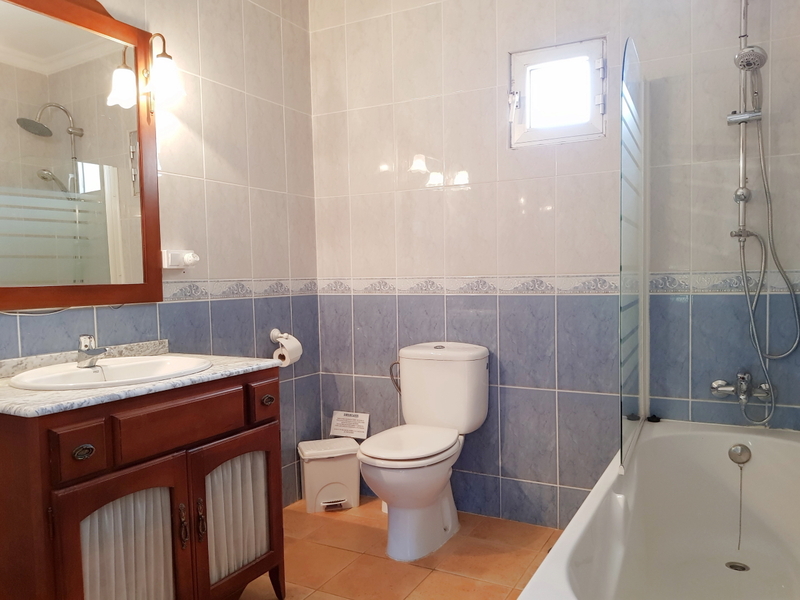 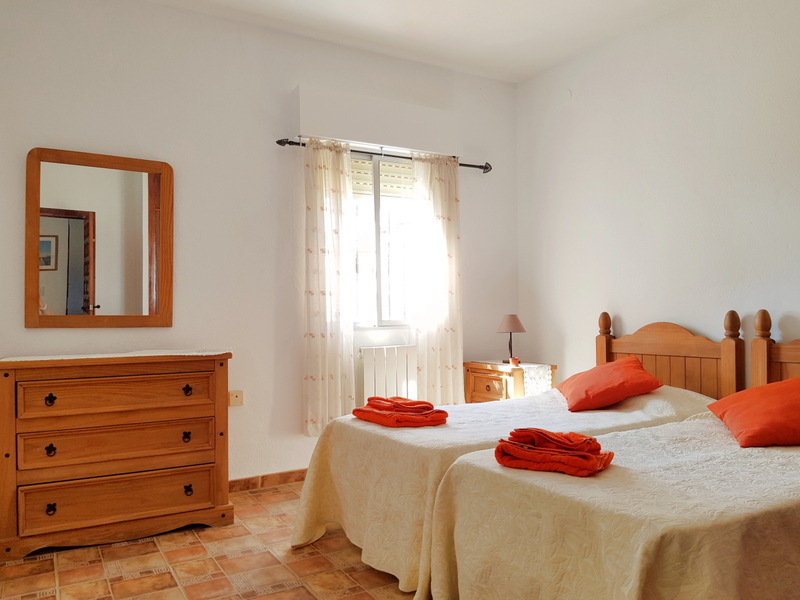 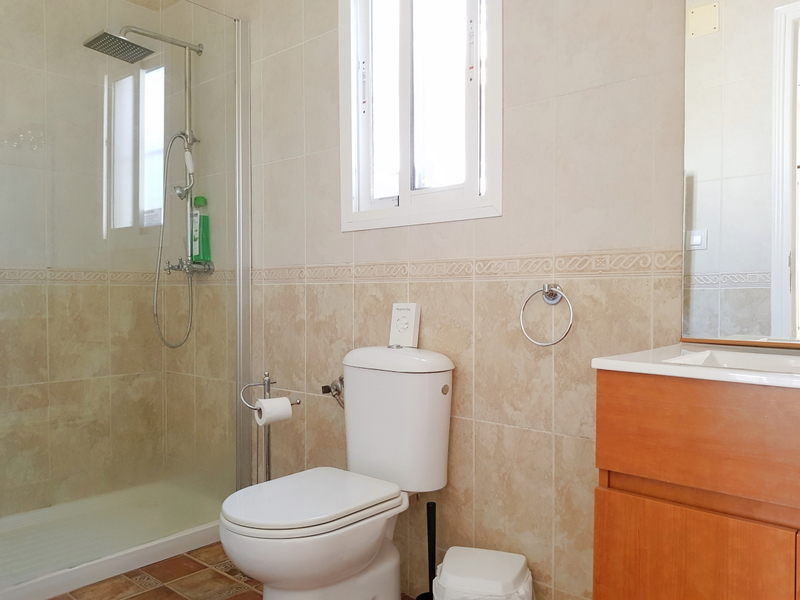 There is an additional double bedroom on this floor equipped with air-conditioning and a family bathroom with bath, shower-over, basin and WC. 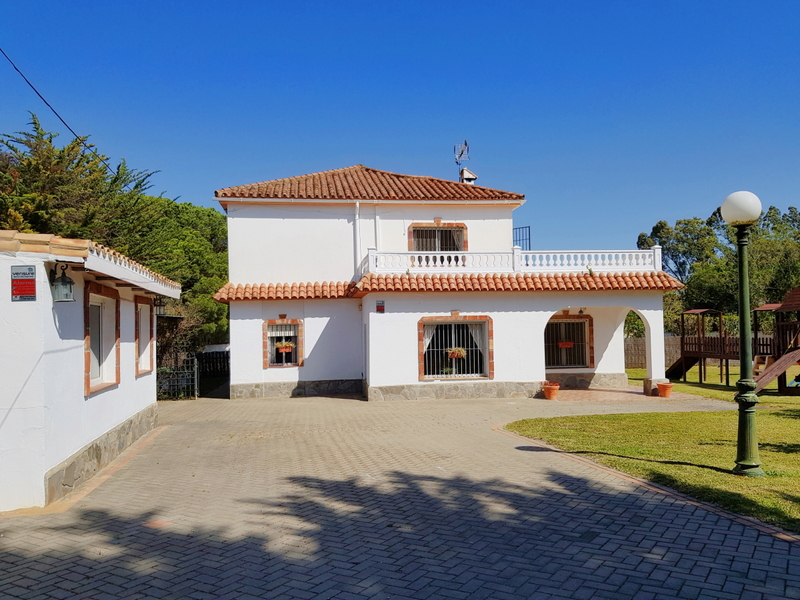 Outside to the front is a further large casita currently used as a games room which could be converted to increase the living accomodation if preferred. 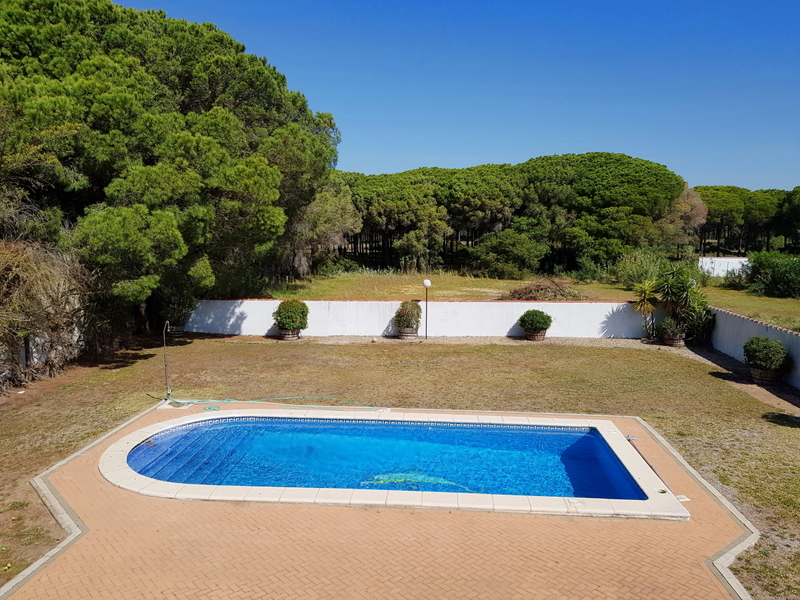 The large gardens surrounding the property are mainly laid to lawn with the private 10x5m pool towards the back of the property set in a sunny position. 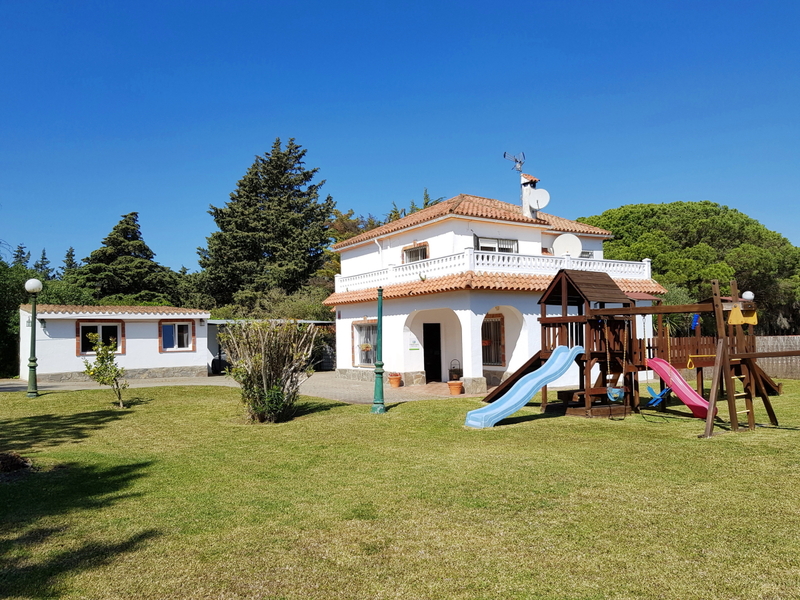 To one side is a large childrens play area and to the other, a nice built-in BBQ with outdoor traditional style stone seating. 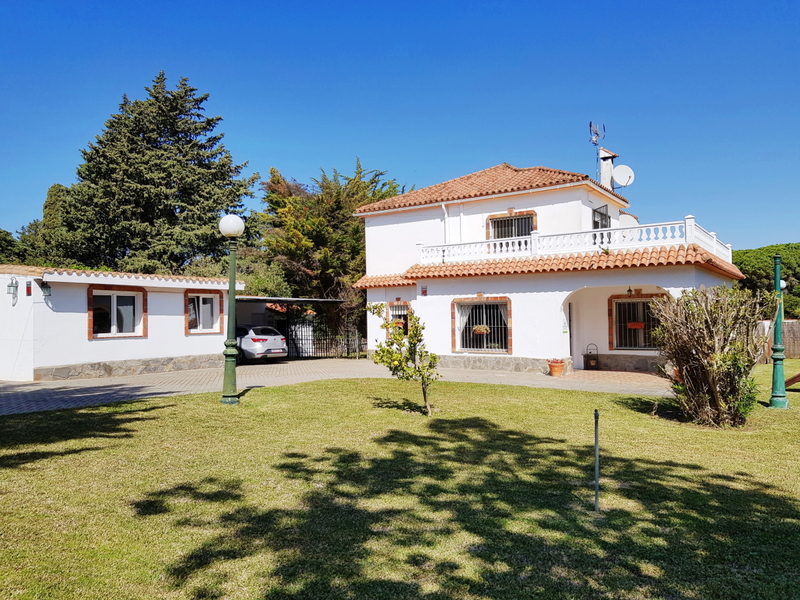 There is a covered car port next to the casita, a large store room and a large paved parking area sufficient for several vehicles. 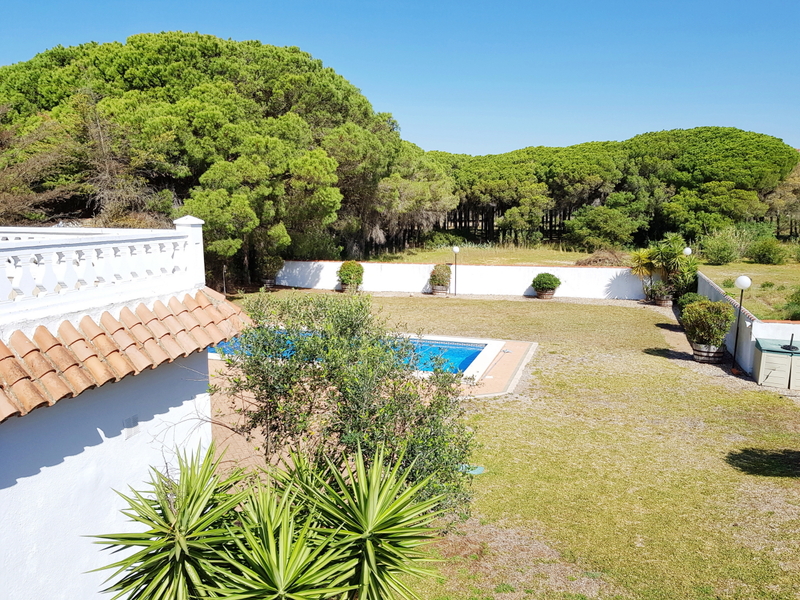 The property benefits from mains water and an automatic irrigation system for the garden.